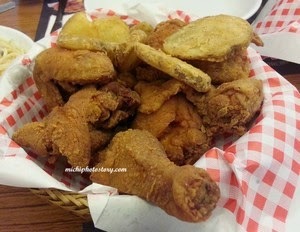 It is no secret here that our family loves Shakey’s so we are frequent diner of this restaurant. 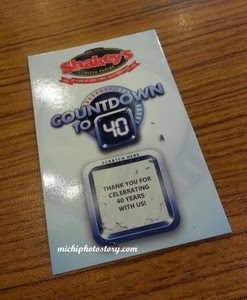 Last Sunday, after paying our phone bills we ate our lunch in Shakey’s. I saw this 1 to 40 Meal Deal but I did not mind it because I saw salad. I don’t eat salad so we browse the menu again and order Deal 2. We always order Deal 1 but since we wanted pasta, we upgrade to deal 2. The staff, informed us about the 1 to 40 meal deal since there’s only P35 difference with our order. 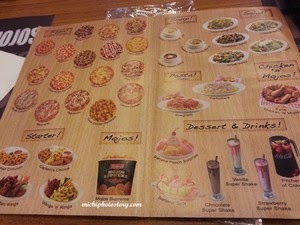 She gave us this sticker menu where we can create our own combination from soup, salad, appetizer, pizza, pasta, mojos and chicken. For number 4, you can choose either dessert or drinks. 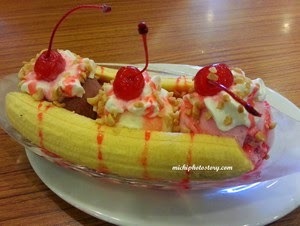 We still ordered our favorite which is Manager’s Choice pizza, Chicken ‘N Mojos, Carbonara and Banana Split for P1240. The only downside of this meal is we can’t use Shakey’s Pizzanatic Supercard. 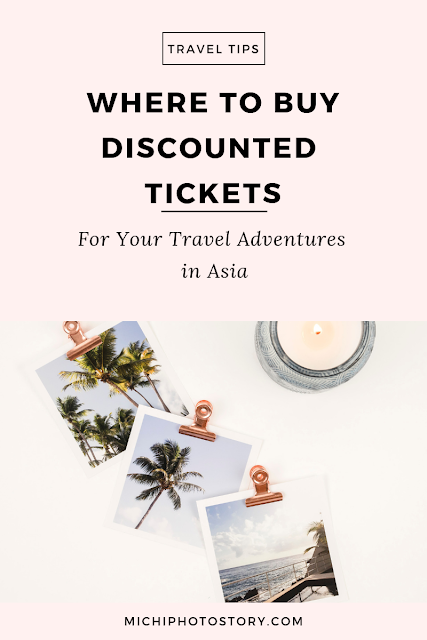 Sayang din ang 10% discount. After paying our bill, the staff gave this scratch card but unfortunately, we did not win anything. Better luck next time. 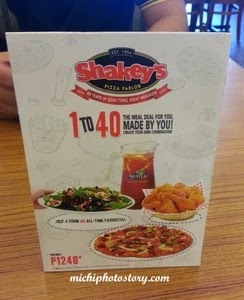 FYI, every Shakey’s 1 to 40 MEAL Deal purchase entitles the Guest to one Scratch Card from February 4 to March 15, 2015 with a chance to win one of the 40 instant prizes. 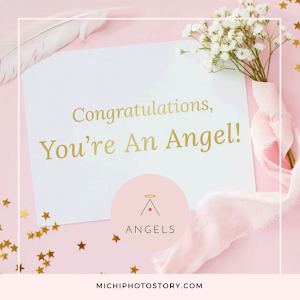 5 winners of 11” Macbook Air, 5 winners of Iphone 6 Plus, 15 winners of Ipad Air 2 and 15 winners of GoPRo Hero4. Waaaah! 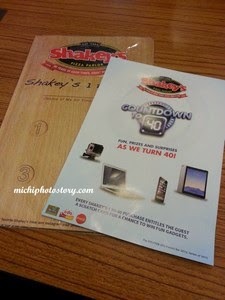 I miss Shakey's! Whenever we visit the Philippines, I always make it a point to eat at one of their restos. Your post is making me hungry! 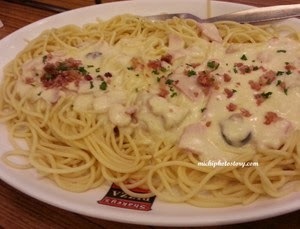 Shakey's carbonara is my favorite. Your pics made me feel hungry! I love the mojos! 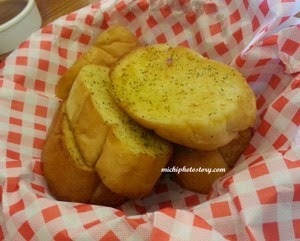 That is what I remember the most about shakey's (and the slow service back then). 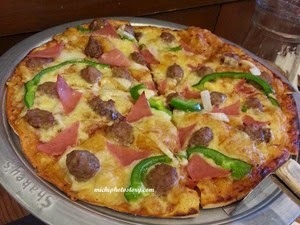 We love Shakey's too and their thin crust pizza stands out! 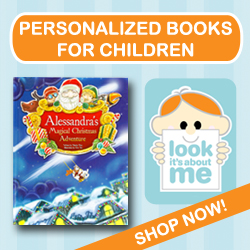 :) I love the variety they have now in their menu. It's one of comfort foods!